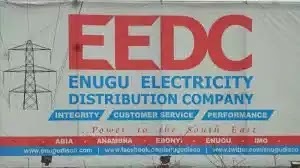 The Enugu Electricity Distribution Company (EEDC) says it has committed over N10 billion to see that its customers in the entire South East were metered, describing its electricity consumers as the company’s major core values. Head of Communications of the EEDC, Mr. Emeka Ezeh, disclosed this to thousands of the company’s customers during a town hall meeting in Nnewi, Anambra State, to explain the activities of the company and also know the problems facing the electricity consumers in the South East. He said that the EEDC would continue to work hard until it closed the metering gap. He told the audience that one needed not to spend one kobo to get the prepaid meter but would only apply and follow the due process. He also informed the customers that transformer repairs is the responsibility of the company which must be done free of charge. For those who complained that some of the time they were billed for energy not consumed, the company’s image maker said it was not the practice at the EEDC, saying that any such claim would be investigated and advised customers to always contact the customer’s care unit of the company in an event of any foul play. He said that the primary responsibility of the EEDC was to distribute electricity to the five Eastern States. He explained that the money customers paid for the services of the EEDC was always used to pay for nine percent electricity generated and supplied to the company which he said was not enough to meet the demands of electricity consumers within the region. In his remarks, Chief Frank Ejiofor in charge of security who represented the Managing Director of the company said the essence of the town hall meeting was to feel the pulse of the EEDC customers and to know where the company was getting it wrong in other to make some amends. “We know we are not perfect and it is your duty to tell us where to improve. But our only regret is that some of our customers do not pay their bills and that naturally has to affect our services to you, ” Ejiofor told the consumers. He also regretted that the field workers of the company were sometimes attacked by some aggrieved electricity consumers without recourse to appropriate department in the EEDC to lay their complaints coupled with the activities of the vandals. He said the company recently lost twenty six transformers to vandals. He noted that there was need for community policing to protect and safeguard the company’s property in order not to disrupt services to the electricity consumers. “When people come to your transformer, let there be proper identification of the person or persons. Call the network manager to ascertain the identity of the person or people seen around your transformer. Let the vigilante be at work to help protect our installations,” he advised. The community liaison officer of the company, Sir Tony Obi said that the EEDC attached great importance to neighborhood relations which made it to set up community reassure unit and community relations committee. He said it was admitted that some of the company’s workers were not doing well in some areas and that was why these units were set up to handle some of the community related issues for better services. Sir Obi advised customers to take their bills to EEDC’s network office close to them for complaints about high bills or any such related issue. A whole lot of customers complained from various angles, ranging from high estimated bills, payment for energy not consumed to poor and epileptic power supply. One of the customers and former president general of Nzuko-Ora Nnewi (Nnewi town union), Chief Benneth Ngonadi said that the bottom line of all the complaints was for the EEDC to tell its customers when they would all be provided with the prepaid meter. He expressed the view that over ninety percent of the problems of the electricity consumers across the zone would be solved, if they were metered. “The question is when shall your customers get their prepaid meters. And it is painful that all the factories in Nnewi are running their manufacturing businesses on generators because of poor quality electricity supply. When shall this end. Look at companies like Chicason, Ibeto, my younger brother, Ngobros, Innoson, and a whole lot of them are running on generators. We are not happy about that, ” Chief Ngonadi complained.